Google: Authorship Didn't Hurt Your Traffic, Penguin Did. 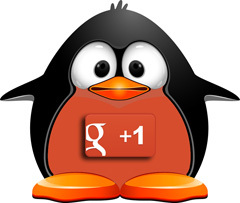 Home > Google News > Google SEO > Google's Cutts: Your Ugly Face Didn't Hurt Your Rankings, Penguin Did. Alex Yumashev wrote a blog post about how authorship lead to a drop in traffic from Google to his site. He said he noticed this when Google sent him a warning that his traffic suddenly dropped. He noticed his authorship showed up for a specific blog post in the Google search results. He also said people were clicking on the number two results, not the number one result because of maybe his "stupid ugly face" (quoting the author). Matt Cutts of Google took offense to the title, which reads "How Google Authorship decreased our traffic by 90%." Why? Well, Matt looked into it and he said the real reason is not because of his "ugly face" but rather because he was hit by the Penguin algorithm. Authorship had nothing to do with this site's drop. The site has been affected by our Penguin webspam algorithm and that accounts for the drop. He then goes on defending Google+ and it's role in Google's search ranking. Authorship markup launched before Google+ was even available to the outside world. I like the "outside world" addition. Typically, authorship and having your picture show in the search results will lead to an increase in CTR and traffic.